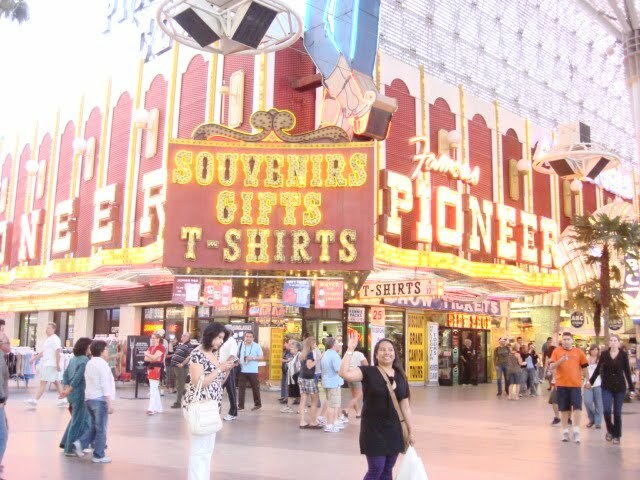 Never miss to visit Fremont Street when you are taking your next vacation in Las Vegas, Nevada. This street is known to be the second famous street next to Las Vegas Strip. I had been there thrice during my two months vacation in Vegas. Never miss to buy some souvenirs and gifts. Here you can find some cheaper ones compared to the ones in the luxury hotels. Here I am striking a pose in front of one of the souvenir shops in Fremont Street, Las Vegas. taken during my vacation in Las Vegas last 2008. Thanks for your visit and comments left. Wish you a nice week ahead. Happy blogging and keep in touch!